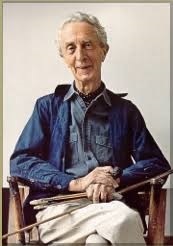 Norman Rockwell was an American painter, illustrator and author born in New York City February 3, 1894. He began studying art at 14 years old and became a prolific artist, producing more than 4,000 original works in his lifetime. While still in his teens, Norman Rockwell worked as an art director for Boys’ Life and worked as a freelance artist illustrating for a variety of young people’s publications. Norman Rockwell is best known for depicting the simplicity and innocence of small-town American life in his creations of calendars, postcards, stamps, booklets, catalogs, magazine covers and posters. In 1916, at the age of 22, Rockwell began working for The Saturday Evening Post creating whimsical artwork covers. Then, after working for The Saturday Evening Post for 47 years, Rockwell began to work for Look magazine. During his 10-year association with Look, Rockwell painted pictures illustrating some of his deepest concerns such as America’s war on poverty and Civil Rights. Some of Rockwell’s best known works are “Rosie the Riveter,” “Saying Grace,” the “Willie Gillis” series, and the “Four Freedoms” series. In 1977, Rockwell received the nation’s highest civilian honor, the Presidential Medal of Freedom. He died peacefully at his home in Stockbridge, Massachusetts at the age of 84. To learn more about Norman Rockwell and his work click on the links below to view some of The Bellevue University Library’s resources. Norman Rockwell’s America by Christopher Finch.